This is a cut and neatly gilded profile of an elegant young lady, her hair upswept in a plaited and twisted knot with decorative plaited loops framing her face. 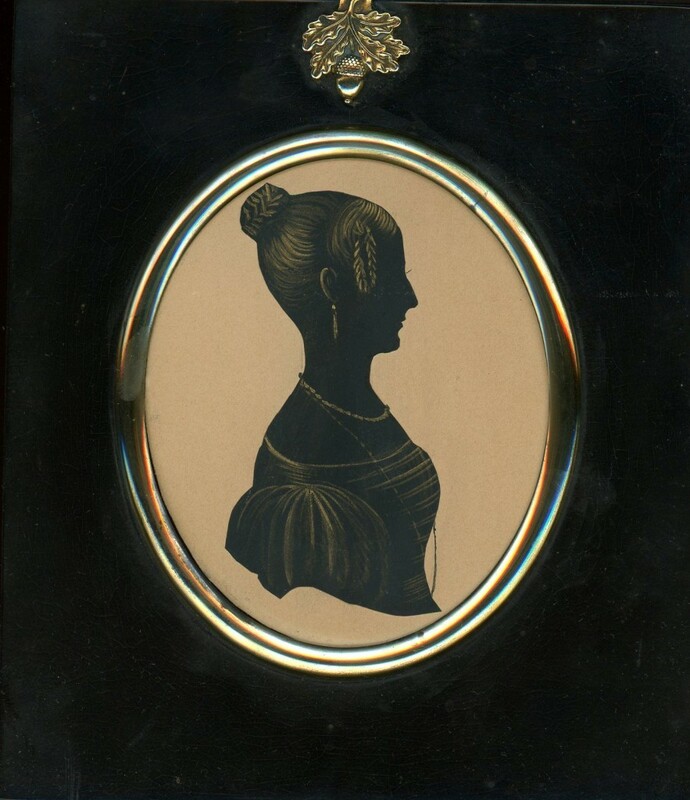 Wearing a dress with voluminous sleeves that dates the portrait to the 1820s, she has a long gold chain looped around her neck and gold drop earrings. Housed in a traditional papier-mâché frame with an acorn hanger, the silhouette is backed with the artist William Seville’s white trade label. 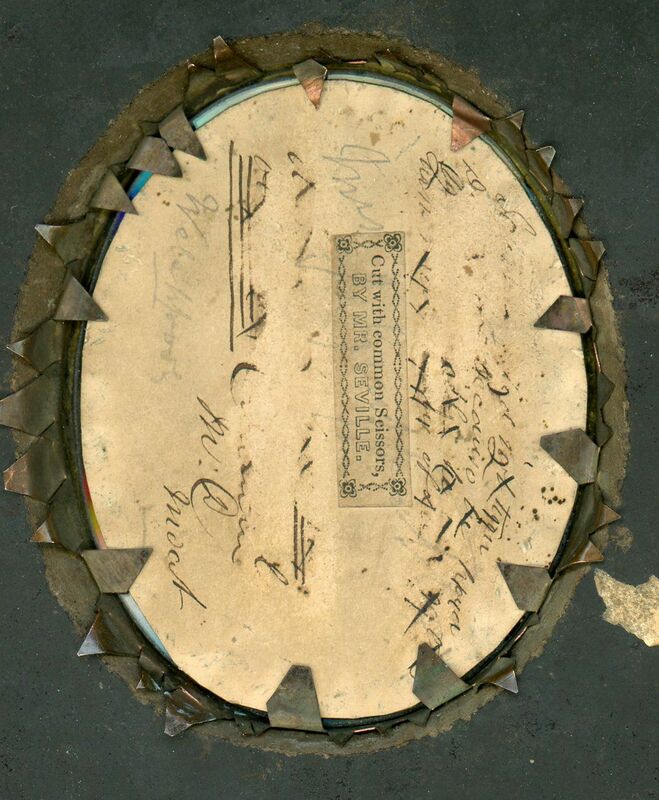 The reverse of the silhouette is inscribed in ink, though not legibly, with an overwritten name in pencil (Mrs ??) and the placename, Welshpool. One of seven children, William Seville (1797-1866) was born in Oldham. 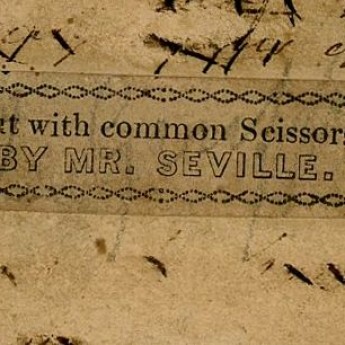 He began cutting profiles around 1818 and styled himself ‘Mr Seville of Manchester’. He was an itinerant artist covering Scotland, Ireland, Wales and the northern counties of England. 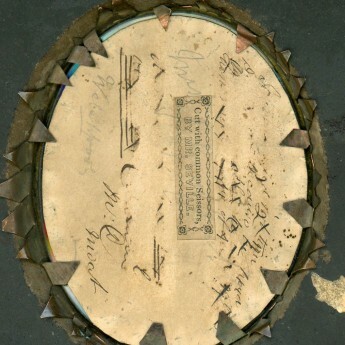 By the 1840s his son, Frederick William, had joined him in the business and became particularly skilled at the gilding work.